Are Groups Really Important in Your Church? I believe groups (classes, Bible fellowships, etc) should be important to churches because God has supernaturally ordained community to sanctify His people. God, who is an eternal community of three Persons, created community for our benefit and His glory. And small groups help believers live in community with one anther. 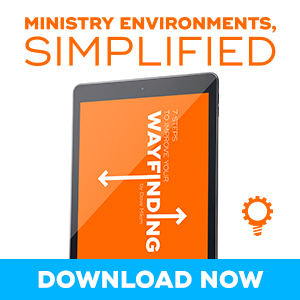 For many churches group content is treated haphazardly. The majority of pastors and church leaders have no clue what is being studied. In fact, almost two-thirds of pastors tell us that the person primarily responsible for selecting the curriculum for the group is the group leader, and a large number of those do so without any oversight or direction from the pastor and/or staff. 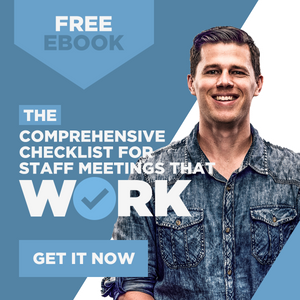 In most cases not only are group leaders not given studies that are built on a particular theology and discipleship strategy, but they aren’t given anything: not a plan, not a recommended resource list, nothing. Now if the church has a group training mechanism in place on the front end and group leaders are tested and vetted theologically, are taught to choose resources in accordance with the theology of the church, and are equipped to think strategically about a spiritual growth plan for their group, then handing the responsibility to the group leader would be empowerment. If, however, the above doesn’t exist, there is ministry negligence. A wise pastor would never treat the teaching from the pulpit with that type of haphazard planning. And group content shouldn’t be treated this way either. As a leader, you must guard the doctrine of your church—that means caring about the content that is being studied in groups. The majority of church attendees don’t believe groups are that important to the church. Are the pastors and leaders in a group? Do the people in the church continually hear about groups? If someone wanted to join a group today, what would you tell them to do? Are stories of transformation occurring in community shared with the church? In comparison to the weekend services, how much energy is poured into group strategy, leader training, etc? The reality is that most church leaders devote much more energy to the worship services than to groups. Caring less about the worship gathering isn’t the solution; caring more about groups is. In worship gatherings that are grounded in Jesus, God supernaturally uses the preaching of His word and the worship to transform hearts and affections. And in groups grounded in Jesus, God supernaturally uses the community to mature His people. Both are important. Both should be important to your church.